Pune seems to be quite a bundle of nerves lately, with neurophysicians recording a steep 40 per cent increase in multiple sclerosis (MS) cases in the last two years. What was around 250 two years ago has now risen to 800-odd cases, of which many are between the age of 25 and 30. One such case is Tanuja, who suffered an attack of Neuromyelitis Optica (NMO), a new variant of MS, when she was 22. "I had completed my degree in software engineering. On the very first day of my interview, I suffered an attack. It not only made me paralytic, but also caused extreme pain. Now, tremors too are part of my life. I was not aware of MS until I suffered an attack. There are people who have symptoms like loss of vision, unconsciousness, shaky legs and so on. But, in my case, it was the first attack that incapacitated me. I am bedridden for the past eight years now," she said. The ailment, which is known to affect more young adults between 25 and 40, is the most under recognised, under treated and misdiagnosed of all diseases, claimed experts. Due to a lack of awareness, many choose to go to a general physician (GP), who only treats the basic symptom. But since the disease results in various disabilities, it can only be diagnosed by a neurophysician rather than a GP. Dr Rajas Deshpande, director of neurology, Ruby Hall Clinic, explained the cause behind the rise in cases, saying, "People have started learning about the symptoms and the manifestation of the disease, which is why they are coming forth early now for diagnosis. Also, MRIs for any disease is common, which also highlights the onset of MS at an early stage. Earlier, it was a major degeneration after which the patient was referred to a neurophysician. But now, even if two to three symptoms manifest themselves, patients come to us." He added, "Even then, the rise in cases is a cause for concern as there is no particular cure or treatment for this disease. Timely intervention can save further morbidities and attacks, but relapses are extremely common. The disease causes major damage to the covering of the nerve fibre between the brain and spine. Thus, during a severe attack, a patient suffers paralysis. 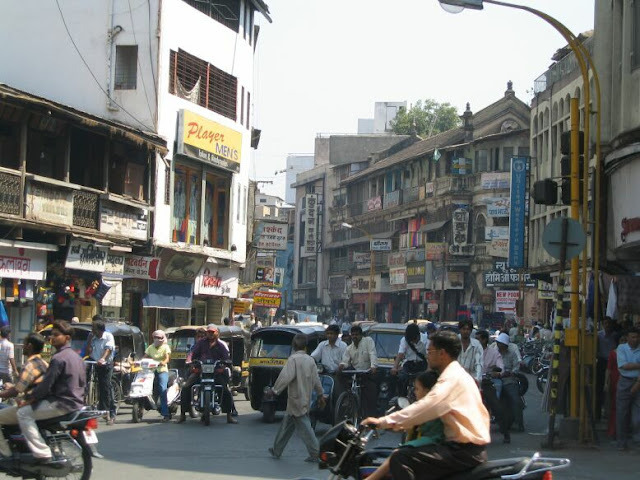 Of the 70,000 to 80,000 cases in India, around 800 are from Pune itself." Sumit, 34, a former lawyer who lost his job due to multiple disabilities triggered by MS, said, "I was not aware of MS till I started suffering from walking problems, occasions of falling unconscious and losing vision in one eye. Even after treatment, I still suffer from attacks. Fortunately, I haven't had a severe attack that would confine me to the bed. But, this disease has definitely made me lose my job, which was crucial for me. Now I don't practice at all and am home most of the time." Senior neurophysician Dr R S Wadia shared, "An increase in MS is definitely been marked and I see around two to three new cases every month. NMO, the new strain of the disease, is extremely dangerous and has a high morbidity rate. With NMO, a person can lose his eyesight or half of the body gets paralytic in the very first attack. It is uncommon, but NMO is also on the rise now." Neurologist Dr Ashok Bhanage added, "Most MS patients are severely depressed and have to be put on anti-depressants. MS can be treated, but an important part of the treatment is counselling and physiotherapy." Sunil Shinde, patient coordinator at the Multiple Sclerosis Society of India, Pune, confirmed the increase in numbers, too. "There are 250 registered members with us now, but we believe that there are 60 to 70 more MS cases in Pune alone. Losing mobility or eyesight in the very first MS attack is rare, but a lack of awareness often leads to ignoring symptoms, which makes people fall prey to the severity of the disease."